Personal Computers (PCs) are all around us. Chances are you have more than one desktop computer in your household. The chances are also high that your computer is going to crash. This is not an “IF it happens” but a “WHEN it happens” issue. Contrary to popular beliefs, computer parts (like all electronics) will eventually fail. When a computer part fails, it’s not always very clear which part is having a problem. This is where 1 Call Service comes in. We have trained and experienced I.T. Support Service Techs that can correctly diagnose the problem and get you back up and running in the least amount of time possible. Of course, this is just a SMALL list of what we can do. If it has anything to do with a desktop computer, our top-notch I.T. Service Technicians can fix it or show you how to do it. 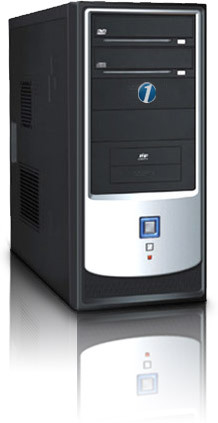 We service all brands of computers and are partnered with many leading desktop computer manufacturers, including Compaq, HP, Dell, Toshiba, Fujitsu, IBM and Lenovo. In short, We have got you covered. It is important to have someone who knows the parts you will need and how to get the job done.